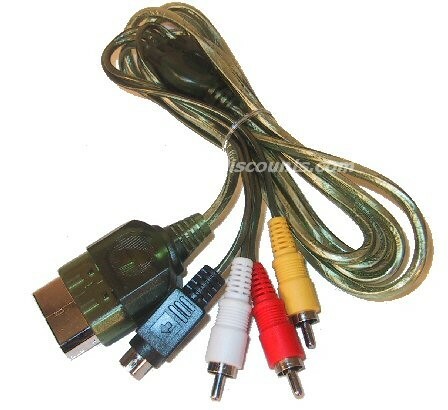 This S-Audio/Video Cable gives you brighter colors, a sharper, higher-resolution picture, high performance RCA stereo outputs and an RCA video connector (for alternate video output). Upgrade the picture quality of your gameplay with this 2 in 1 cable. Connects your Microsoft Xbox system to TV's with either A/V or S-Video inputs. A hot game console and a TV with bling don't mean jack if the connection between the two isn't up to par. Upgrade your cables and you’ll feel like you’ve walked right into the game.